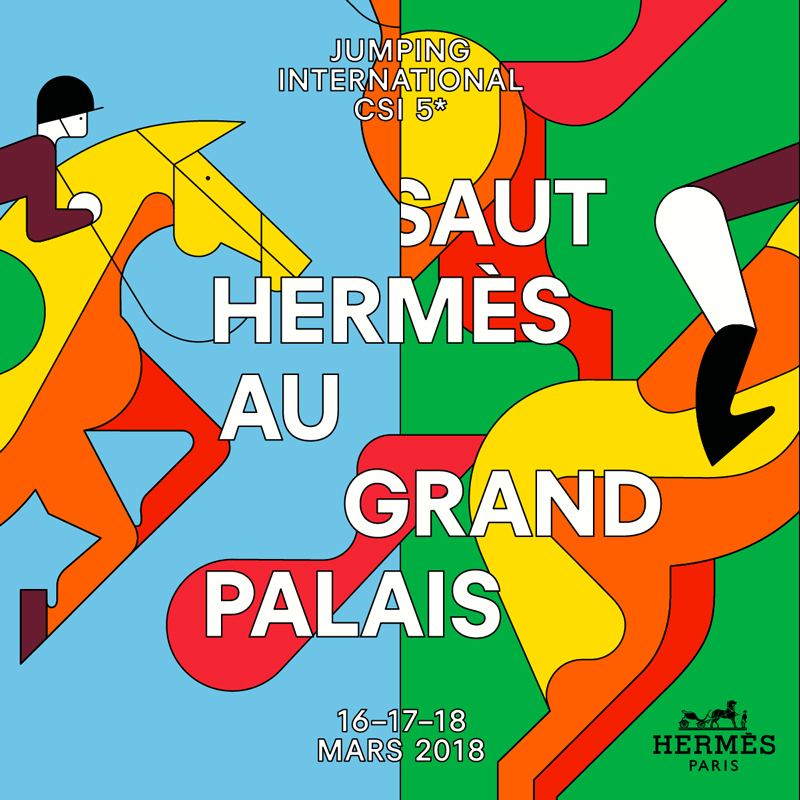 Since 2010, Hermès has been inviting equestrian sport to the Grand Palais and, on this occasion, has confirmed its position as an expert saddler, recognised by the greatest champions. On 16th, 17th and 18th March 2018, the Saut Hermès au Grand Palais will bring together the world’s fifty best riders to compete in the 5 – star international show jumping trials (CSI 5*), the highest category classified by the Fédération Française d’Équitation (FFE) and the Fédération Équestre Internationale (FEI). Hermès has entrusted the technical development of this year’s competition to the world – renowned Spanish course designer Santiago Varela Ullastres. He will work on the competition’s ten trials, assisted by the French course designer Grégory Bodo and the French rider Michel Robert, sporting advisor for the Saut Hermès at the Grand Palais. In addition, throughout the duration of the event, twenty rising stars under the age of 25 will compete in the « Talents Hermès » trials supported by riders on the CSI5* circuit, in the spirit of skill sharing that is so dear to Hermès. On 17th March, the sound of horses’ hooves will continue to resound under the glass roof of the Grand Palais after nightfall for an evening event during which the audience will be able to watch the « 24 Faubourg » speed trial. The show « Récréation », choreography of Bartabas for National Equestrian Academy of the Estate of Versailles.